Beautiful decorative and so collectable, this Antique Majolica Serving Bowl or plate is from the late 1800's. 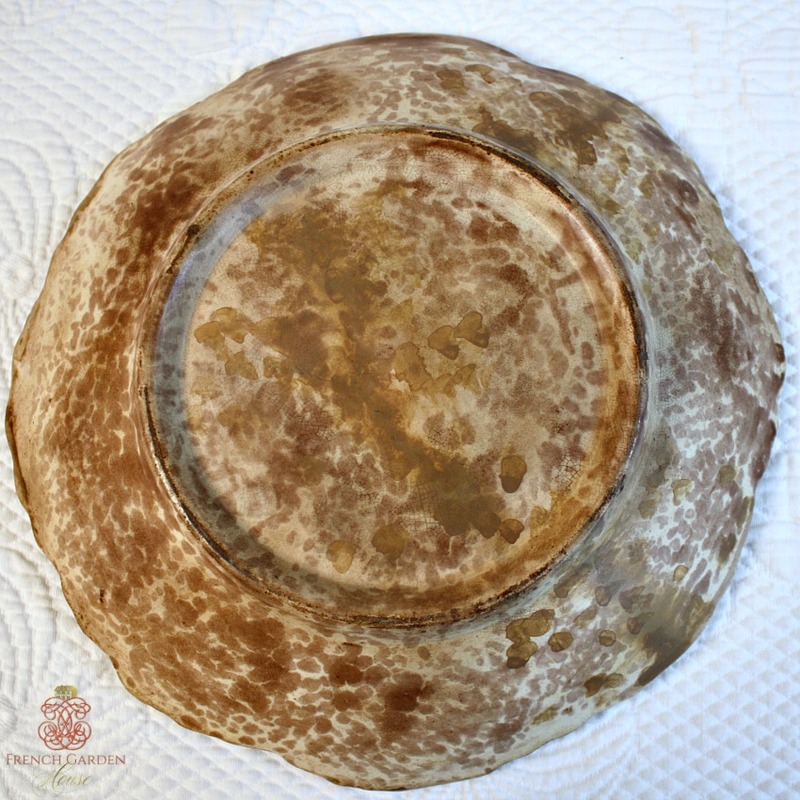 It features a gorgeous Maple Leaf Pattern, and was most likely made to serve Ice Cream. 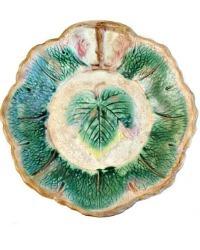 Gorgeous color, weight, and stunning mold design is what makes this a treasure for your Majolica collection. No backstamp, as some of the early pieces do not. 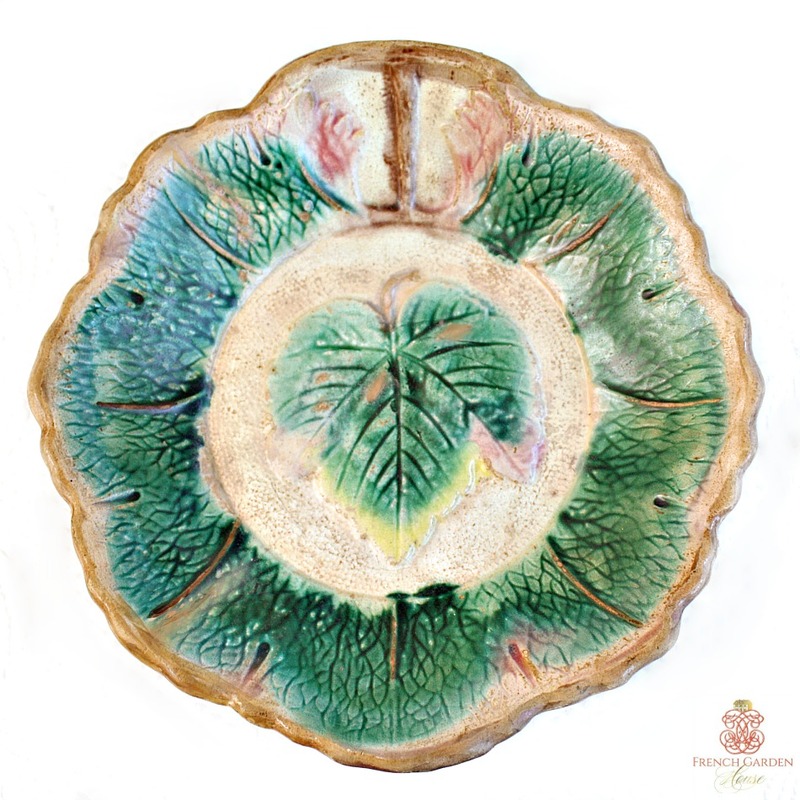 Hand painted and hand sponged back, this is a superb piece to display with your French, English and American Majolica ware, on a stand, or it can hang with a plate hanger. Measures 10" x 2" h.